Need some elf jokes for your Christmas party? Or maybe to put in your Christmas crackers. Perhaps you need some jokes for your elf on a shelf! These elf jokes are perfect for kids. Enjoy! 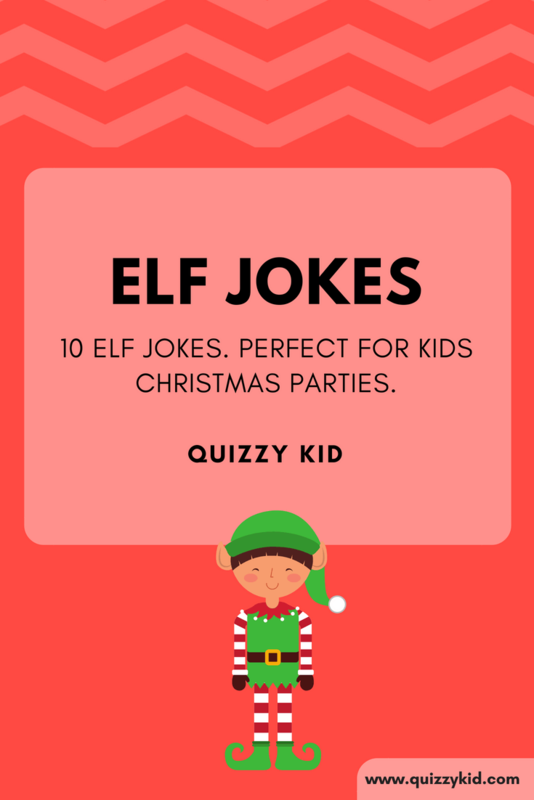 If you enjoyed these funny elf jokes for kids then check out our other Christmas jokes. You'll laugh out loud at our Santa Jokes for kids. And our reindeer jokes are hilarious! Check them out. Q1. What's the first thing elves learn in school? Q2. What kind of music do elves like best? Q3.How do elves get from floor to floor? Q4. Why kind of photographs do elves like taking? Q5. What do you call an elf walking backwards? Q6. How do elves communicate with one another? Q7. If there were 11 elves and another one joined them, what would he be? Q8. Who lives at the North Pole, makes toys and rides around in a pumpkin? Q9. What do you call a stingy elf? Q10. Why did the elves ask the turkey to join the band?